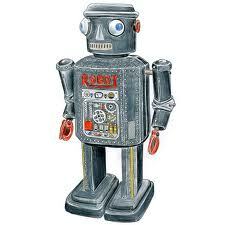 The ROBOT philosophies of strategy architecture, risk management strategies and portfolio integration are synergistic. We believe first and foremost that any great methodology should excel not only on its own but also offer quantifiable benefit to each other via an expertly constructed portfolio. Each of the ROBOT strategies has been designed from the ground up with the thought of such integration in mind. Many quantitative trading firms simply curve fit a single strategy to a narrow range of recent market conditions using parameter optimization. While this method can produce impressive short term returns, the very nature of the auction process in all markets has proven again and again its propensity to eventually identify and eliminate any such inefficiencies. Instead of fragile and often fleeting inefficiencies, ROBOT has chosen to construct its portfolio around a solid foundation of relatively simple investment strategies universally accepted for centuries by clients and advisors alike. Where many absolute return programs end and ROBOT begins is in our commitment to integration. Our strategies were not only designed to integrate with each other into a complete absolute return solution, but that solution is flexible enough to be custom integrated into the overall portfolio as well. Above all, risk management strategies are our primary focus. Simply stated, we expend far more effort learning to minimize losing periods then we do on maximizing winning ones. In our view, high returns are only impressive if they are markedly consistent across the time horizon for investment and if coupled with equally impressive drawdown mitigation during the inevitable difficult periods encountered by any strategy. PURSUANT TO THE 4.7 EXEMPTION FROM THE COMMODITY FUTURES TRADING COMMISSION ROBOT FUTURES ONLY ACCEPTS QUALIFIED ELIGIBLE PERSONS. Past performance is not necessarily indicative of future performance. The risk of loss in trading futures contracts or commodity options can be substantial, and therefore investors should understand the risks involved in taking leveraged positions and must assume responsibility for the risks associated with such investments and for their results. You should carefully consider whether such trading is suitable for you in light of your circumstances and financial resources. You should read the “Risk Disclosure” accessed by the link above. Copyright 2018 ROBOT FUTURES,LLC. All rights reserved. Data and information is provided for informational purposes only. Neither ROBOT FUTURES nor any of its data or content shall be liable for errors or for any actions taken in reliance thereon. This website is for informational purposes only and should not be construed as an offer or solicitation to buy or sell securities or commodity futures. ROBOT FUTURES shall not be liable for any damages or costs of any type arising out of or in any way connected with your use of the services of the brokerage company.